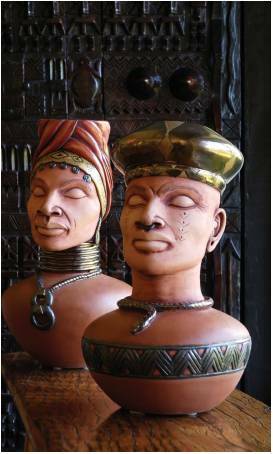 As an importer, the South African native understands that resorting to such extreme or unusual measures is part of the quest for exotic art. She takes the unconventional route as well in displaying her finds. 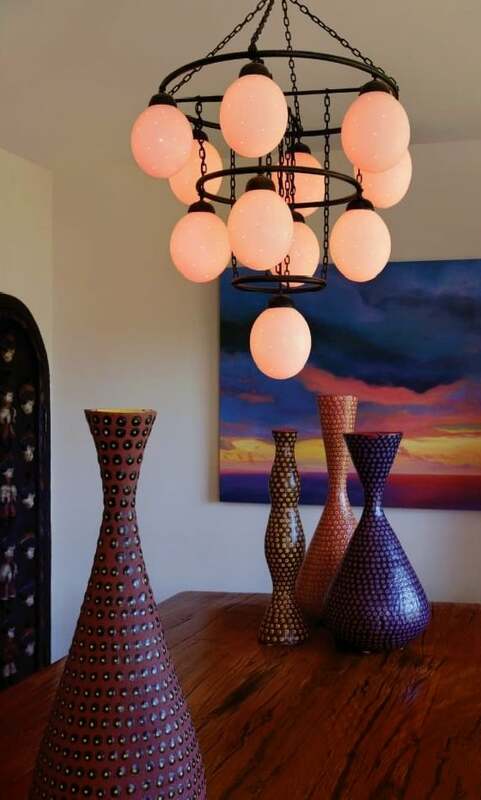 Kutash displays her collection, Phases Africa, in a private and personal space: her Newport Beach home. Seated in a wing chair covered with ostrich skin in the living room of her Big Canyon home, she speaks of traveling to Timbuktu to purchase hand-tooled goat leather products from the Tuareg nomads of the Sahara Desert and to the midland Natal region of South Africa for baskets woven from colorful telephone wire by artisans of the Zulu tribes. 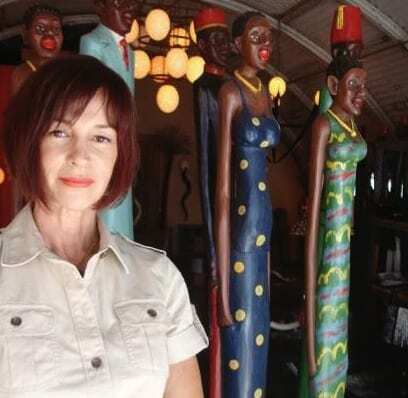 Among her favorite pieces are the painted, carved colonial figures from Africa’s Ivory Coast, which stand 5.5 to 7 feet and the 6-foot tall women with expressive faces carved from palm fronds from the Natal region. “I won’t buy it unless I see the spirit of Africa in it,” she says. Kutash carefully guards the individual names of many artists because of stiff competition in the import business. 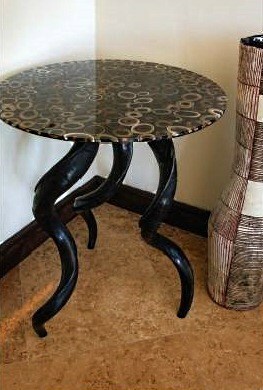 The prices for pieces in her collection are comparable to those available at high-end design centers. Kutash started her company by showing at The Collection on Robertson Boulevard in Los Angeles in 2001. She moved to her Newport Beach home three years ago and began using her home to display her collection. Aside from the benefit of lowering the company’s overhead, her in-home showroom allows clients to see how pieces can fit naturally into a house. She mixes the best of Africa – both old and new pieces that reflect tribal and European colonial heritage – with the latest furnishings from South Africa’s contemporary designers. With a background in theater set and costume design, Kutash uses natural colors of the desert together with modern furniture to help bring the pieces to life. The two-story display offers a slant toward contemporary styling through accents such as the Medusa mirror and table carved from African obeche wood created by a Russian sculptor living in South Africa. Noleen Kutash shows the Phases Africa collection by appointment only. Call (949) 275-2282 or go to www. phasesafrica.com.